Saint Paul is a city located on the territory of Minnesota, Ramsey County. It is known as the Saintly City and the Pig's Eye. This city is the capital of Minnesota. The town is located near the Mississippi River, near the Minnesota River. 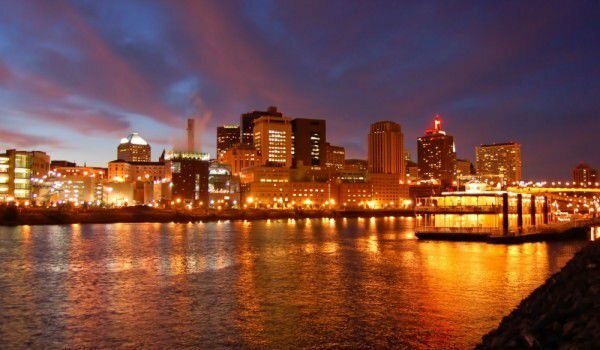 St. Paul is located near Minneapolis, which is the oldest settlement in Minnesota. Both cities are known as the twin cities, because of their great distance. In the city of St. Paul, 285 068 people live. City of St. Paul was founded near ancient Indian settlements as a trading center. Gradually, the town grew to such an extent that it was declared the capital of Minnesota in 1849. 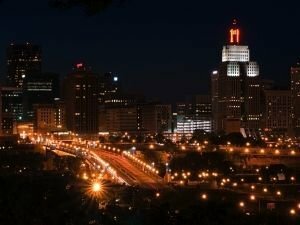 Although Minneapolis is the first city associated with Minnesota, St. Paul is a place where there are a number of important institutions. The city is has many cultural centers. Here was built the Museum of Science of Minnesota. In the city are world famous companies. The city is known as the pig’s eye, because the foundation on its territory was built the tavern Pierre Parrant, known by the nickname of the pig eye. The first Catholic chapel built in the city named after St. Paul and later transformed it into the Cathedral of Saint Paul. So the city’s name was chosen. The name of the saint was accepted by all, without exception. The place where the Indian park is today, in ancient times lived local Indians who settled in this area about two thousand years ago. In the seventeenth century, here lived the Sioux. They called this area Imnizaskadan. In their language it meant the little white rock, which is due to the limestone hills in the vicinity. In 180, 3 U.S. Army officer Zebulon Pike convinced local Indians to surrender the land in the range of four square kilometres, on which he pitched a fort. Thus was built Fort Snelling, which was successfully completed in 1819. Many traders and missionaries sought protection from the Indians in the fort. The Fort served as a hotel for people who travel far. In 1847, in the city of St. Paul, which bore the name of the chapel, was built the first school. In 1857, it was voted the capital and was to be moved to Saint Peter. But this was prevented by the theft of documents on transfer of capital out of the Joe Rolette. At that time, the town had over a thousand available steam boats. This facilitated the influx of settlers, who came from different parts of the country. In 1904, the city was devastated by hurricanes and tornadoes. Hundreds of buildings were destroyed, and the damage amounted to forty-three million dollars at today's calculations. In the sixties of the twentieth century, the city was urbanized and modernized. The city got a highway, which increased inward investment and attracted more new settlers. In the seventies of the twentieth century a real boom in construction of skyscrapers started. The tallest building in the city is Galtier Plaza. In the early twenty-first century, a powerful wave of immigrants came to live in St. Paul.